What better way to start the new collection of magic images with the symbol for magic? Only, there's more than one ... Let's start with the basics therefore, global magic symbols that declare there's a magician here and magic is being done, such as the pentacle, the pentagram, the spiral and the energy magic symbol. 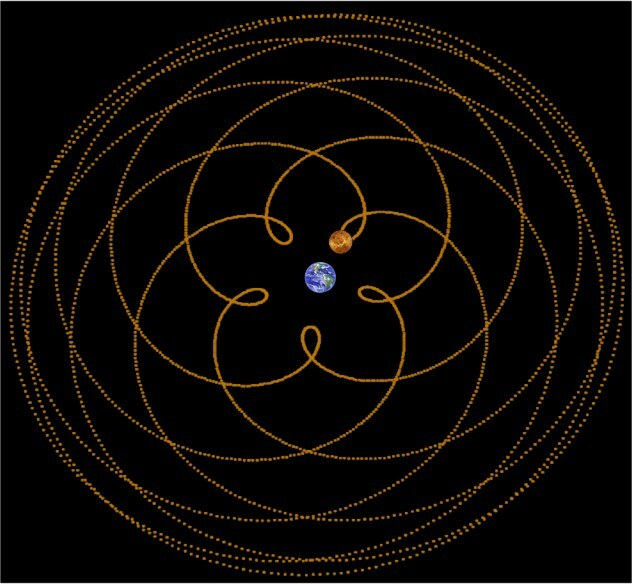 The path of Venus (the morning star, the bringer of the light) traced from the Earth's viewpoint - isn't that beautiful? So now, we have the pentagram, the five pointed star showing its lines. Here are some magic pentacles and pentagrams. The point up is "the right way round" for magic; if you turn it the other way, you get a headache in energy magic and in some circles, you get the "satanic version" of the pentagram. There is a lot of debate about this; I like the natural path of Venus very much and so I have only "tip up" Ishtar pentacles and diagrams here. A pentagram by itself just says, "here is magic." A pentagram inside a circle touching the lines gives you the pentacle and that denotes "all is magic." A pentagram inside a circle without touching the circle line is a symbol of protection; magic protection as well as "protecting your magic" which can be necessary in this day and age. These images are animated gif files with the background set to transparent but designed for black backgrounds or dark backgrounds. Static images are transparent png files. Do not hotlink the images; save them to your own computer and then upload them to a space of your own. Here are some other magic symbols you can use to evoke the presence and intention for magic without going down that pentacle path. 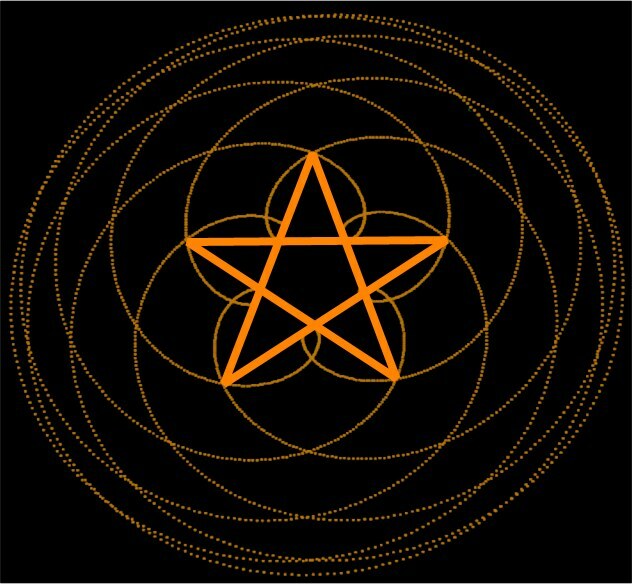 You can use a five pointed star which has the same gist; the star by itself is "magic is here," the star touching the circle is "all is magic" and the star inside the circle is "magic protection." The man in the circle is also a "hidden pentacle". The man touching the circle means "man is magic" and the man inside the circle without touching it is "magic protection." Finally, here are some primal magic and energy magic magic symbols.